Providence has reached four straight NCAA Tournaments with four very different teams, but what Friartown has been treated to over the past four games is the style of play that Ed Cooley loves. In December, Cooley struggled to find answers as to why this group had yet to find an identity. They’ve not only discovered the type of team they need to be to win, but they are doing so with a style of play that Cooley appreciates most — versatile, interchangeable, and physical. This is what Cooleyball looks like. Providence has just been more aggressive than its opponents during the four-game winning streak they are riding. They are doing so thanks to the emergence of a pair of punishing wings. 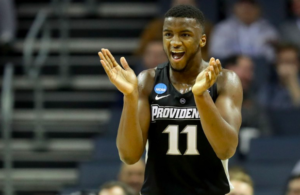 Make no mistake, Kyron Cartwright is the engine that runs the Friars. 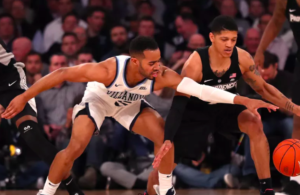 The senior point guard has given Cooley just about everything he could have asked for in Big East play — scoring, playmaking, tone-setting — you name it, he’s doing it. 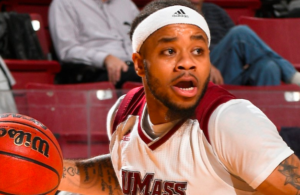 Cartwright is playing as a senior All Big East guard should. PC is now a more difficult cover because Alpha Diallo and Isaiah Jackson have both taken their games to a different level. Diallo was the best player on the floor in Saturday’s 85-71 victory over Creighton, nudging defenders out of the way on drives to the rim, grabbing offensive rebounds, pulling up from mid-range, and firing slick passes in a 21 point, 10 rebound, four assist outburst. The sophomore has shined in conference play — 16 points and 12 rebounds against St. John’s, 10/8/6 at Omaha, 16 and 8 versus Marquette, 16 and 9 at DePaul. Saturday was the best Diallo has been this season. He established the tenor for this one early. From the opening tip Diallo took the ball hard to the rim, and he closed the game out in the same manner. As they’d done against Butler earlier this week, Providence bullied another high-scoring opponent with its wings. Creighton came into this game sixth in the country in points per game and finished with 71. In Big East play, Diallo is averaging over 14 points per game, is sixth in the league in rebounding (7.4), and fifth in steals (1.6). Cooley said Diallo and Jackson give him a duo that can catch, shoot, dribble, and pass — a perfect complement to the sharpshooting Jalen Lindsey and inside-out scoring ability of Rodney Bullock. Providence has ridden a small ball lineup with Bullock at center at key junctures during this run. It’s a lineup that wouldn’t have been possible if not for Jackson, the one-time George Mason transfer who is averaging 14 points per game over the past five. Foul trouble kept Jackson on the bench for much of the first half, but he delivered in the clutch, scoring nine of his 11 points in the second. He knocked down a corner 3 with 12 minutes to play, delivered on a pair of drives with the game in the balance in the final seven minutes, and put back a Diallo miss with under two minutes to go to put PC up seven. Yes, Providence is small at center with Bullock at the 5, but the versatility and physicality of Jackson and Diallo allow them to play bigger on the wings on both sides of the ball. The trio of Jackson, Diallo, and Bullock have combined for 20 rebounds a night in conference games, and PC is fourth in the league in rebounding differential. 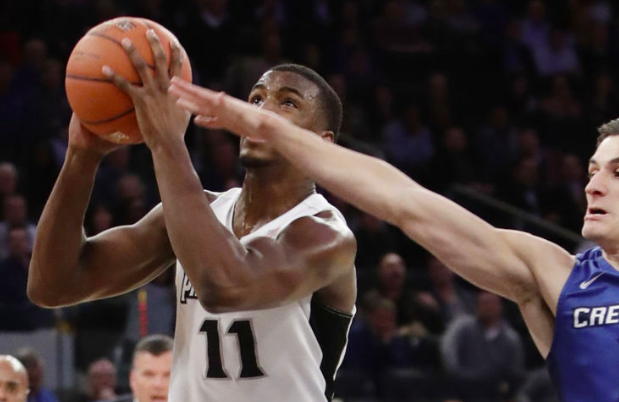 With the small lineup Providence can switch virtually everything defensively, and they have been able to race Big East opponents off of the 3-point line. Conference foes are making just .305 from beyond the arc — good for second best in the league as we approach the halfway point of Big East play. Creighton made 7-27 from 3, Butler 6-24, DePaul 5-21, and Xavier 5-18 during this four-game winning streak. It took longer than Cooley would have liked, but it appears as though his team has found its identity. Defense is also much improved they have finally bought in great win yesterday ! The constant line up changes because of injury/illness were really hurting PC. Hopefully they can stay healthy through March. Psyched to see them battle Nova tomorrow.